Some recent exhibitions and highlights of our spotlight artists. Since I've featured so many, I won't be covering all of them in this post, but just to touch on some upcoming shows. If you've been a featured artist, please send me your upcoming exhibitions and classes so that I can share these with everyone on our blog and social media networks. 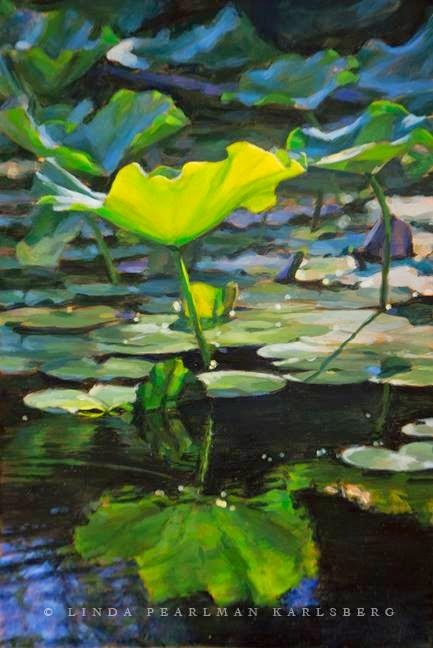 Linda Pearlman Karlsberg's painting Amidst Lotus V was selected for this national juried exhibition that explores light both as a tool for emphasis and as a medium - opening June 25th at the Attleboro Arts Museum. Louise LeBourgeois has an upcoming exhibit, Approaching Light, running form July 1- Sept 12, 2014 at the Fermilab Art Gallery in Chicago, IL. Scott Gellatly is part of a group exhibit, Shared Oregon Visions, at the Cannon Beach Gallery in Oregon running through July 28, 2014 with the artist's reception this Saturday, June 28th from 5-7 pm. The most recent online exhibition for Manhattan Arts is the "Celebrate the Healing Power of Art" juried exhibition that is open now running through July 17th. As a sponsor and award donor for the event, Dynasty chose a winner for the Dynasty Brush award to receive a set of fine, high quality brushes. Elaine Kurie's piece, Green Apple, embodied the entire show with its serene layout and impeccable rendering. In fact, all of Elaine Kurie's work is designed with thoughts in mind to portray harmony, simplicity, light and peacefulness. She explains further, "I paint with the intention that my art will convey a quiet stillness and offer us a place of rest and renewal. I’m also a medical artist and I think that the beauty, logic, and order that I see in anatomy and physiology is reflected in the balance and order of my still life set-ups." Elaine continues, "I have always been drawn to paintings that expressed a sense of tranquility and calm; qualities that were associated with the landscape painters of the Luminism style of painting known for their clarity of light. Other influences have been the powerful portrait paintings by Ingres, Velasquez, Vermeer, and more recently, the still life paintings of Claudio Bravo." With careful planning and thoughtfulness, Elaine sets up her still-lifes to reflect the simplicity and purity she has in mind. In turn, her serene painting was an evident choice as a winner in the "Celebrate the Healing Power of Art" exhibition for the Dynasty Brush Award. 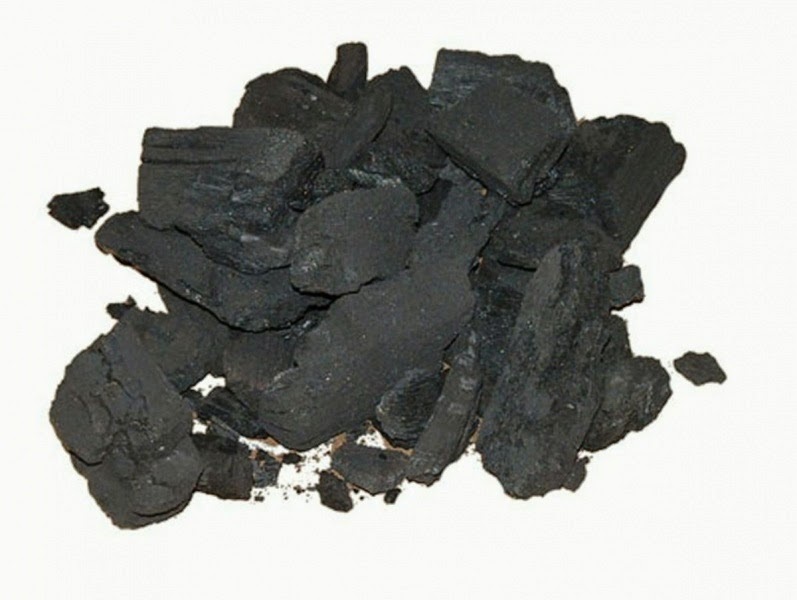 Charcoal is a black, porous, carbon material -- the residue from burned or roasted wood. Bone and some other vegetation can also create types of charcoal or pigment blacks. Charcoal is 80-98% carbon plus some ash and moisture. 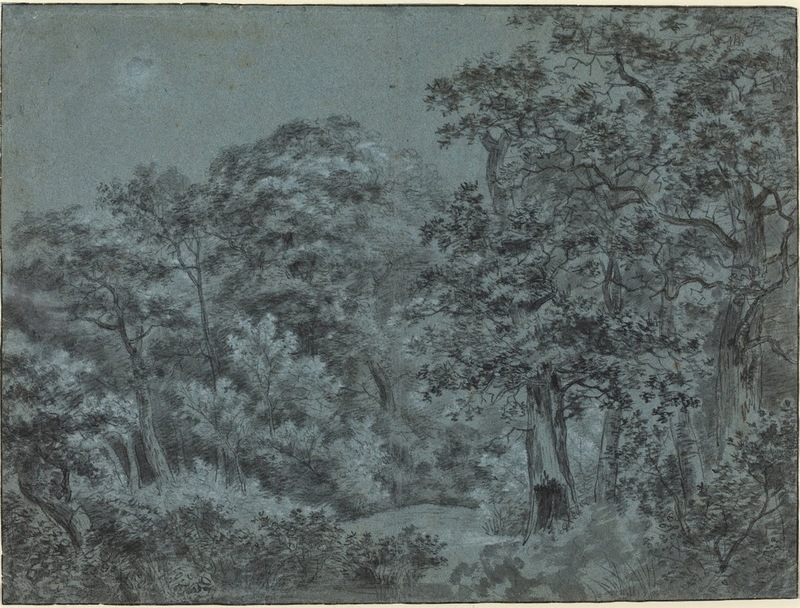 Charcoal used for drawing is often willow or other soft woods. Artists can purchase willow charcoal in vary sizes or find it in pressed sticks or pencils, which is made from lamp black pigment. The willow charcoal is a fine material for underdrawings as it is light and can be erased easily. Pressed charcoal is a velvety, rich black that works quite well as a drawing material on its own. It can also tinted with color for variations on the drawing material. 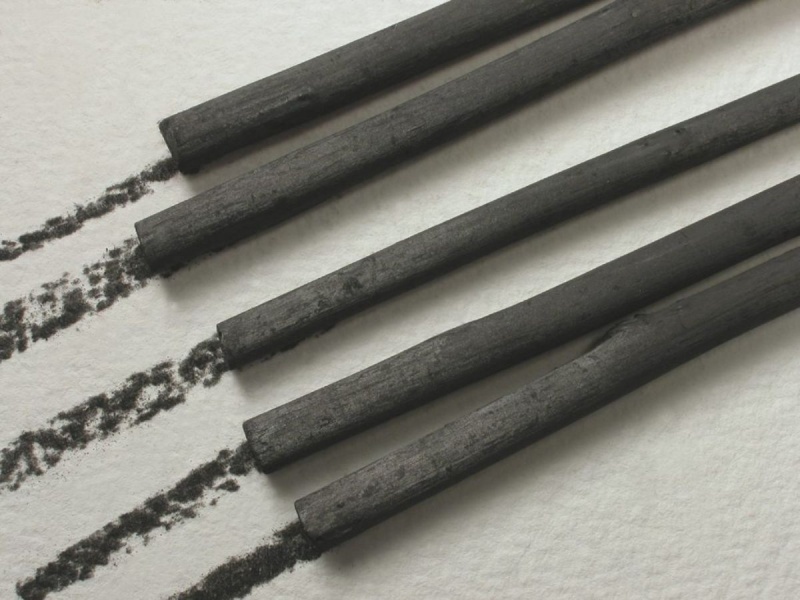 Charcoal can be used as a pigment, though some types of wood produce weak blacks, and the hue of the ground pigment can vary greatly based on the organic material used to produced the charcoal. Charcoal has been used since ancient times as one of the first drawing materials, and since it has wonderful lightfast properties, works done in charcoal will last for decades. Charcoal is best used on a surface with some tooth so the grit can hold the particulate. It can be easily fixed to the surface with a spray fixative or acrylic dispersion medium. Even though Charcoal is usually a dry medium, it has tremendous blending abilities, with or without the use of a stump (a paper blending tool). If you want to look into brushes for blending, try our IPC line of brushes. Charcoal and white chalk together make for some of the most beautiful drawings. For detailed instructions on making your own fine art charcoal, take a look at "The Craftsman's Handbook" by Cennino d'Andrea Cennini, written in the early 15th century. He explains a thorough technique of preparing the wood, sealing it in an airtight container, and roasting overnight. Do you use charcoal or a form of charcoal in your work? If so, let us see your work and tell us about it.